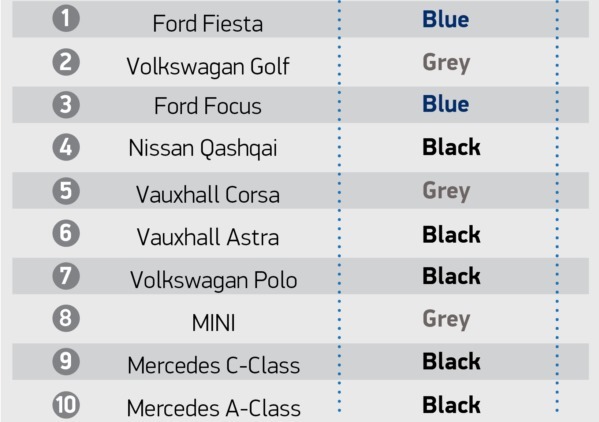 Black has replaced white as the most popular new car colour for the first time in five years, new figures from the Society of Motor Manufacturers and Traders (SMMT) show. It regained the number one spot courtesy of some 515,970 new black cars hitting the road last year. White on the other hand, didn’t even make second place in 2017, with total registrations numbering just 482,099. That marks a –1.5% drop in market share, and a 15% fall from 2015 when registrations of white cars hit an all-time high of 564,393 registrations. It was pushed into third position by grey, which saw its highest number of registrations on record, at 500,714. 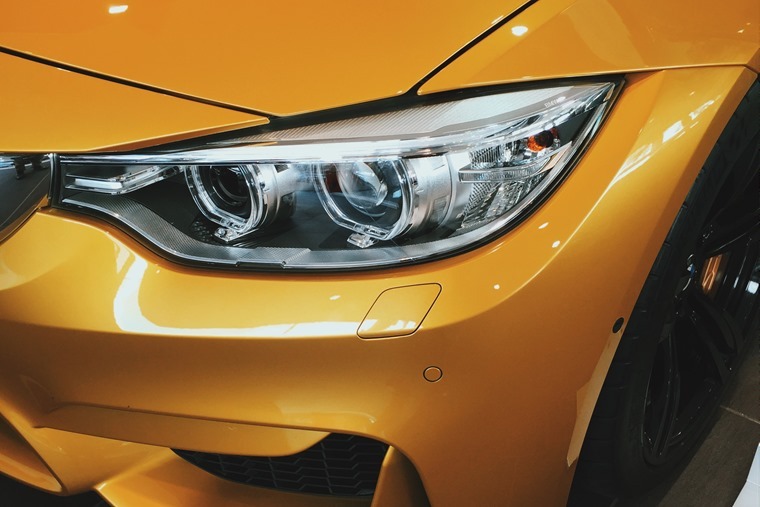 While trends in car colours can seemingly change with the seasons, it seems monochrome colours are definitely here to stay, with 60% of the market choosing black, grey or white last year. In fact blue was the only primary colour to make the top five, with red falling one place into sixth position, to be replaced by silver. In last year’s report it appeared silver was falling out of favour, but despite a decline in overall registrations last year, it still managed to get itself back into the top five. Orange, bronze, yellow and green made up the rest of the top ten. More people than ever are opting for bronze and orange, the former finding itself in the top ten for the first time since 2011 thanks to a 9.4% increase in demand. On the other hand, brown seems to be falling out of favour in a rather dramatic way, with its market share declining –33.2% overall in 2017. 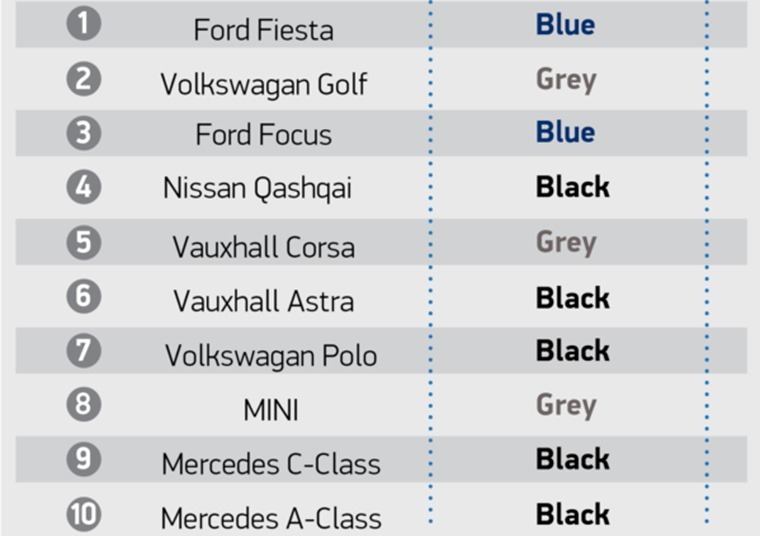 When it comes to car colours, are things really black and white? Gold’s popularity was the fastest growing, with demand up 19.1%, although it remains a niche choice making up just 0.2% of the market. 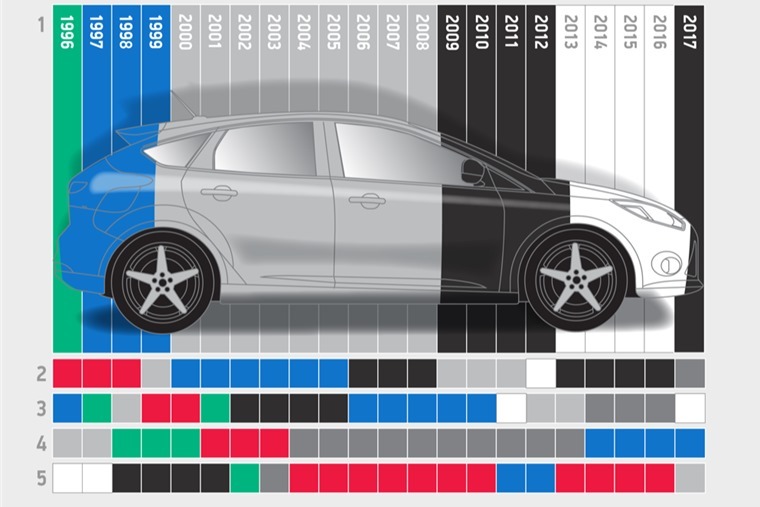 The SMMT’s handy infographic below demonstrates the changing trends for car colours over the last two decades. It shows silver, black and white have dominated the market since bright, primary colours fell out of fashion in the late 90s. 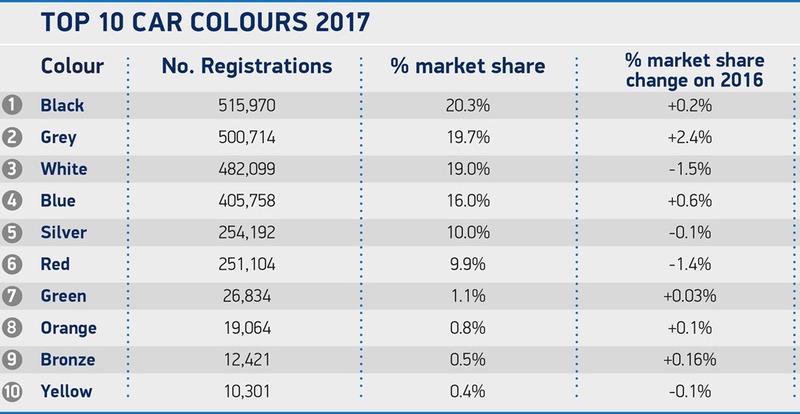 It’s the first time black has been the most popular colour since 2012, with a notable increase in white registrations taking over the number one spot from 2013 through 2016. So is black back, or is it just a case of less people choosing white? Experts say it could have something to do with the fact white it a hard colour to keep clean. Karim Mussilhy of Syner Group said: "White cars are perceived as being harder to keep clean and people's lives are busier than ever. That's definitely a factor". 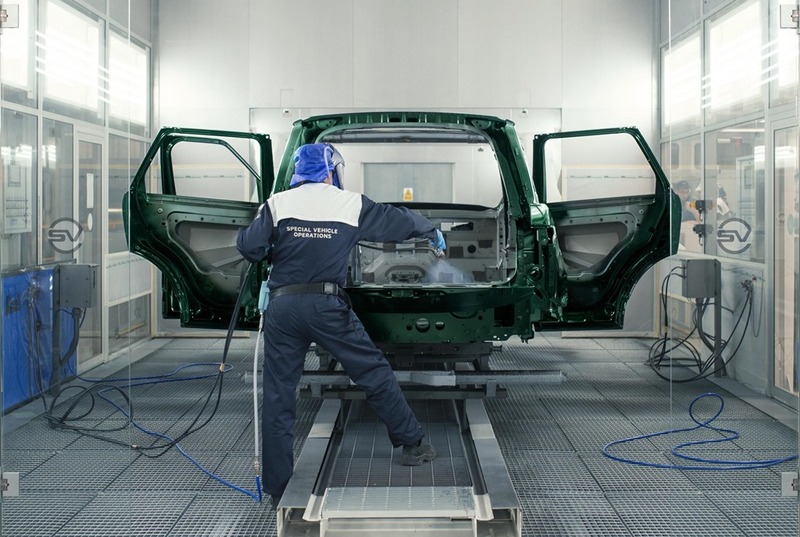 Mike Hawes, SMMT chief executive, said: “Picking a colour is one of the many exciting decisions to make when specifying a new car, as well as selecting from the cutting-edge safety and comfort tech available on the latest low emission vehicles.